The Cordless Sterling 4 Clipper gives you the convenient feature of both cord and cordless use for a busy day in the barbershop or salon. If your charge gets low, you can simply plug in and continue to use. 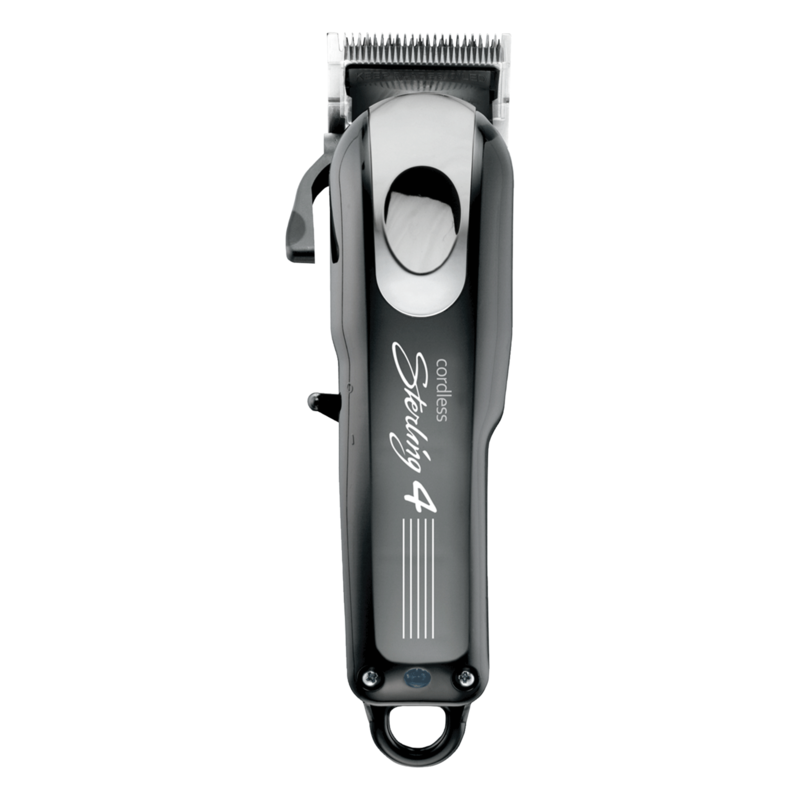 The Cordless Sterling 4 Clipper comes equipped with a lithium ion battery with a 90+ minute run time. The blade lever adjusts cutting length easily and comes with 8 cutting guides for expert accuracy. The Cordless Sterling 4 Clipper includes the professional clipper with adjustable taper lever, 8 cutting guides (1/16 Inch – 1 Inch), styling comb, recharge cord, oil, cleaning brush, operating instructions, and red blade guard, all of which are guaranteed for professional quality in your salon. The Cordless Sterling 4 Clipper (#8481) measures 6.25 inches in length, weighs 10.2 ounces, features a rotary motor, lithium ion battery, and 1005 3-hole blade. Cut the cord with this American-made cordless clipper! "this clipper the power last very longer,i charge this clipper over night can use all day about 20 haircut,also very good for blending over comb,i had this clipper almost 2 years now love it."